Enjoy your well-deserved rest in a country you feel comfortable calling home. You may have reached that age when retirement has arrived and now you are wondering whether you should settle at home or embrace the expat retirement life. If you are considering the latter, you will be joining the millions of retirees who have ventured abroad in search of a better, healthier and more peaceful lifestyle. International Living released its Annual Retirement Index Report, which caters to people wanting to hop on board the expat express. As always, measured by lifestyle, health, economy, and other factors, the report handpicks the best places to call home when living abroad. Where to retire is a personal choice, but having a solid report to look at while deciding where to go can help you greatly. You may not consider any of these countries suitable for you, and may venture to new shores, but at least it gives you a place to start. Panama takes this year’s crown as the best retirement destination. Offering an array of landscapes from white-sand beaches to valley mountains and everything in between, this country is perfect for a wandering soul. Surrounded by both the Caribbean and Pacific coasts, settling in this Central American country means you will have a lot of exploring to do. Out of 100, Panama scored 93.5 after being assessed in the different categories. Obtaining a visa or permit for your specific needs and status, for example, is relatively straightforward in Panama, according to expats living there. Not to mention the healthy lifestyle and amazing healthcare access and facilities. Think of the climate, too: warm tropical weather is good for both your physical and mental health. Nestled between Spain and the Atlantic Ocean, this overlooked European country could be the perfect retirement spot for you. Anyone looking for golden beaches, historic castles and great gastronomy should be ready to call this place home. 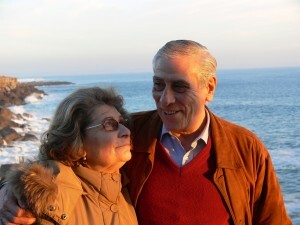 Rated 10th out of the top 23 countries to retire to, Portugal is much more than a romantic walk on the beach or a cultural and historical fountain. Living in Portugal can be quite cheap, offering some amazing real estate for much less than you would pay, say in the US. Its Mediterranean diet is perfect for anyone wanting to lead a healthy lifestyle, too. And while we’re cruising through Europe, let’s not forget Spain (ranked 9th), Malta and France. While many may be put off by the winter climate, factors such as entertainment, lifestyle and fitting in can outweigh the cold months. Mexico, Ecuador and Costa Rica have always figured on the top retirement hotspots worldwide, and they continue to do so this year. The ease at which you can settle in, the perfect landscapes, the booming economy (Mexico is cheaper than ever after the mexican peso has dropped in value), and the friendly ambiance make these countries all the more welcoming for expat retirees. The sun-kissed beaches of Ecuador make the perfect home for anyone never wanting to wear jacket again. Costa Rica’s exotic wildlife make it a nature-lover’s dream destination. Mexico’s colonial and picturesque central cities create a perfect atmosphere for romantics. Add this to an affordable lifestyle and healthcare systems, to their friendly population and to their world-class gastronomy, you’ve got yourself retirement paradise. Malaysia, Thailand and Cambodia are high-profile representatives of what Asia has to offer for wanderlust retirees. The crafted temples, beautiful canals and unique beaches are just extra reasons to move to Asia for your golden years. Asia offers great cost of living, but its main attraction for expats is the healthy lifestyle they lead. The continent is one of the healthiest in the world, so there is no wonder expats quickly adopt this lifestyle abroad. It doesn’t matter what climate or lifestyle you are looking for; the important thing is to keep your youthful spirit entertained and enjoy your well-deserved rest in a country you feel comfortable calling home.